Minutes ago, Calvin had his third grand mal seizure within sixteen hours. It was the first daytime grand mal in months, if not far longer. He had one just after falling asleep last night and then woke to another at four-thirty a.m. He's been crying all morning, his source of misery assumed though unknown. 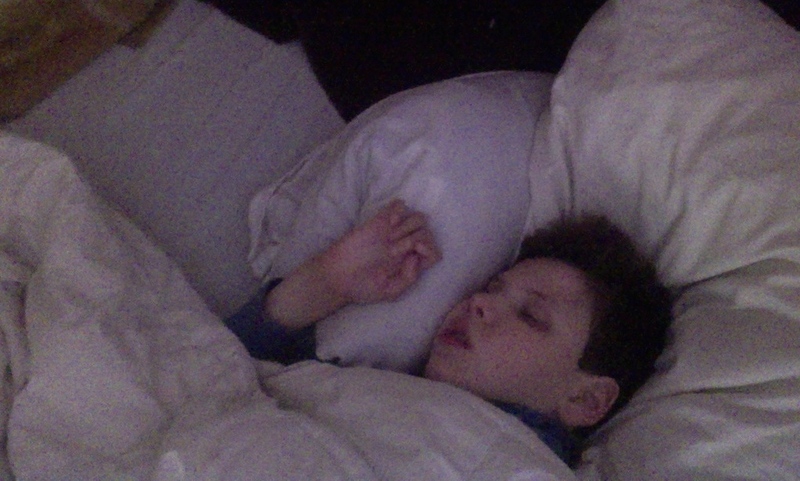 The only thing I feel okay about is that this third seizure occurred while he was napping rather than while he was awake, something the THCA cannabis oil seems to have prevented for years. It would seem he is getting sick again, having just recovered from a nasty cold that is going around. He is in bed right now. I write this while sitting on top of his changing table with the shade drawn, listening to Baby Mozart, and wonder if he is going through a growth spurt and has outgrown his Keppra dose. I wonder if he needs extra THCA at night. I wonder if now is the time to try the CBDA cannabis oil that was made with him in mind. I wonder if he is still suffering from benzodiazepine withdrawal. I'm grateful that Calvin's partial complex seizures have virtually disappeared these past couple of months, but it seems as though some of them have been replaced with grand mals; Calvin has had six or seven grand mal seizures in each of the past two months or so. Most folks will tell you that a single seizure is one too many. For several years I've dreaded Calvin turning fourteen; I know too many parents who have lost children with epilepsy around that age—parents of Kevin, Matthew, Tyler, Kellie, Cyndimae. I wonder if Calvin might be the next to expire, the result of pneumonia, a prolonged seizure or perhaps SUDEP: Sudden Unexplained Death in Epilepsy. For now, though, I'll hold Calvin's face in my hands, his body in my arms. I'll sop him up since we can never know what tomorrow might bring. I'll hold my breath and hope he doesn't have any more seizures for awhile. But I remain afraid, watchful, exhausted, despondent. My sweet impish boy. My poor little messed-up child. Hang in there, Christy. I'm hoping that Calvin pulls out of this downturn. Sophie is going through one as well -- they just never stop cycling, and it's a wonder that we're still alive.